Here is a treat for all of you before the release of Bajrangi Bhaijan. 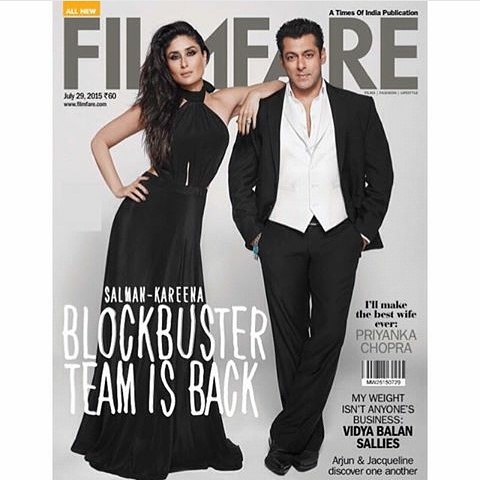 Kareena Kapoor and Salman Khan are rocking the covers of FilmFare Magazine. While Salman looks dashing in a three-piece suit, Kareena ups the heat in a black dress and smokey eyes. And the two make for an awesome couple wearing monochrome on the cover of the latest edition.